WE CAN DELIVER THIS INCREDIBLE PORSCHE BOXSTER S TO ANY DRIVEWAY IN THE COUNTRY! VISIT OUR WEBSITE AT WWW.SHOPRIGHTCHOICE.COM TO SEE 85 PHOTOS, THE FREE CARFAX, AND MORE INFO ON THIS ABSOLUTELY INCREDIBLE FIND! 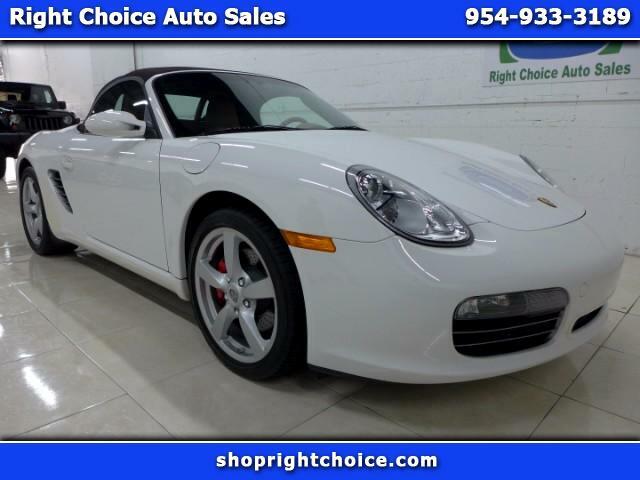 THIS STUNNING BOXSTER S IS IMMACULATE INSIDE AND OUT, HAS A CLEAN CARFAX, WAS METICULOUSLY WELL-MAINTAINED WITH 17 SERVICE RECORDS, AND HAS AN INCREDIBLY LOW 12K MILES!! IT'S LITERALLY LIKE A NEW PORSCHE FOR LESS THAN HALF PRICE! DO NOT MISS THIS ONE.